This Keto Egg Muffins recipe with Spanish chorizo manchego cheese is very easy to cook. Keto egg muffins are a great breakfast, snack or lunch. They can be easily made in bulk and refrigerated or frozen to reheat and eat later on. Our recipe makes 12 muffins. 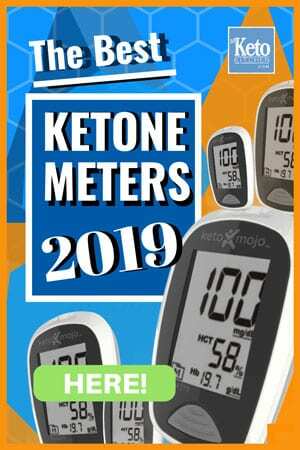 One serve in our nutritional information is one keto egg muffin. We love Egg Muffins, they are easy to make and there are so many flavor combinations. 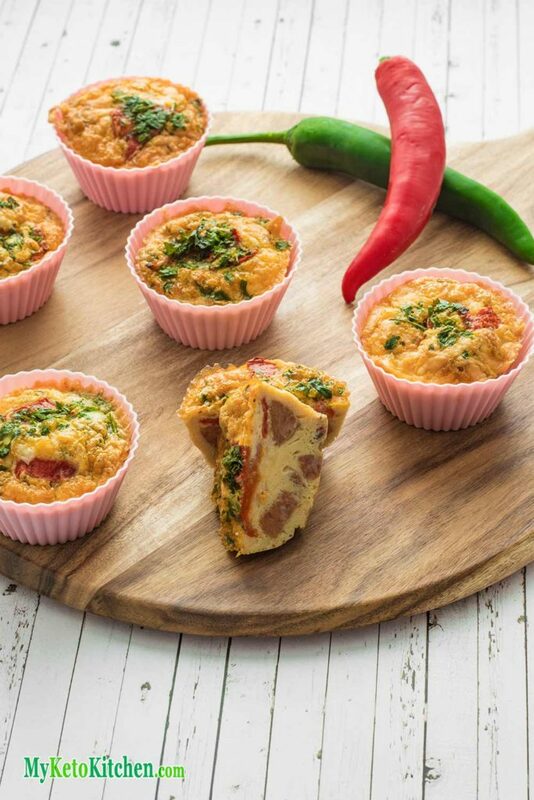 Check out our Cheese and Bacon Egg Muffins, you won’t find any chilli in them! Place the diced chorizo, chili and garlic in a non-stick frying pan over medium heat and sauté for 8 minutes. Turn off the heat. Allow to cool for 5 minutes. Crack the eggs into a large jug and add the cumin, paprika, salt and pepper. Blend with a stick blender until fully combined. Pour 2 tablespoons of the egg into each cupcake mold. Evenly split the chorizo mix between the cupcake molds. Add the manchego cheese, slices of roasted peppers and parsley on top. Pour the remaining egg mixture into each cupcake mold. Bake for 12 minutes, and remove from the oven as soon as they are cooked through. Remove from the oven and enjoy warm or store in the fridge. 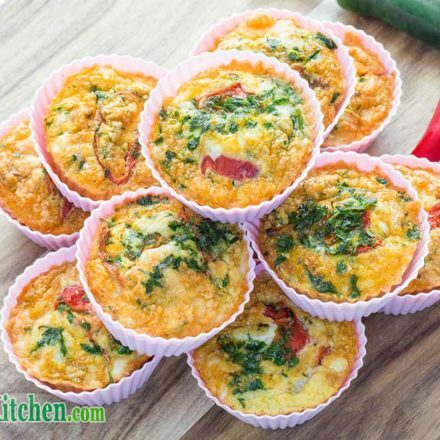 The Egg Muffins can be reheated quickly in the microwave. 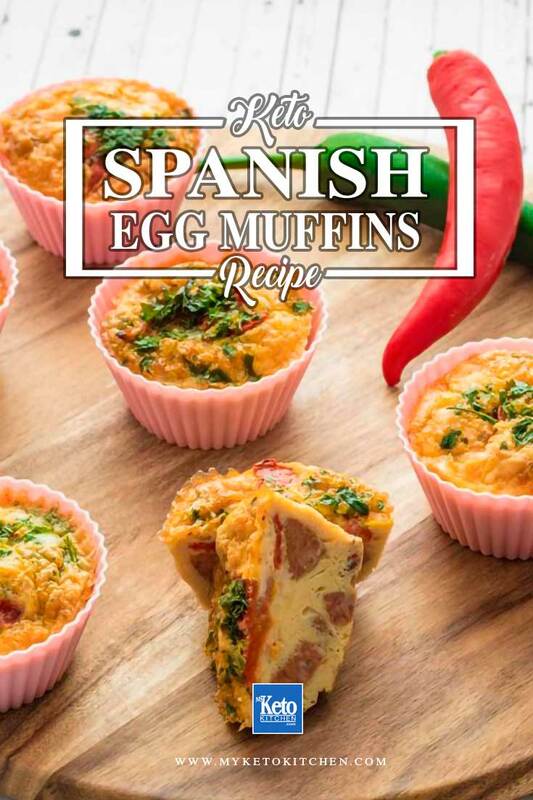 These Healthy Low Carb Spanish Chorizo and Manchego Ket Egg Muffins are very Easy to make and great for a snack or with breakfast and lunch. To make a larger batch of Low Carb Spanish Chorizo and Manchego Keto Egg Muffins, adjust the serving above.